If you are preparaing for Any competitve exams like Govt. jobs, private jobs or Enterance exams then you might be searching for a great book on Verbal and Non-verbal reasoning, then you will surely like this deal of 21% Discount on A modern approach to Verbal and non-verbal reasoning by RS. Agarwal, we earlier posted a great discount deal on Quantitative Aptitude by RS. Agarwal. 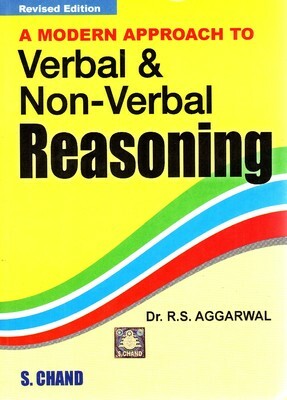 Another deal for Verbal and Non-verbal reasoning book by RS. Agarwal. Market price for A modern approach to Verbal and Non Verbal Reasoning is 895 Rs, but This deal will surely helps you save around 200 Rs. We all are aware about the importance of Verbal and Nonverbal reasoning in any exams, like SBI, Bank-PO, IBPS, CAT, UPSC, SSC, NET, JRF and many others competitive exams in India. For more Fantastic book discount deals, freebies and secret tricks to save money, stay tuned with All India Coupons.